Ben More is Mull’s only Munro (mountain over 3000ft) and it can be climbed from a few different starting points. Not to be confused with the other Ben More at Crianlarich on Loch Lomond. This one on Mull is a much less difficult climb and is really just a hillwalk with no need for scrambling. It’s a rocky mountain and you should be aware that some of the rocks are magnetic so can have an effect on your compass. The easiest route for both ascent and descent is the one from Dhiseig. Follow this link for more detailed information on the climb, parking etc. Ben More from Dhiseig. 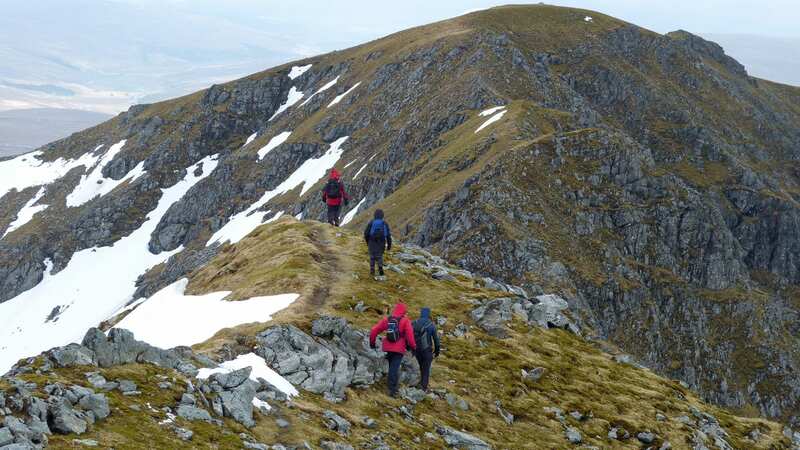 If you prefer to consider the alternative route take a look at the details here: Ben More via A’ Chioch and Beinn Fhada. There are views most of the route to the top but from the top you have a great view of Mull and Ulva and all the small island around the Minches.